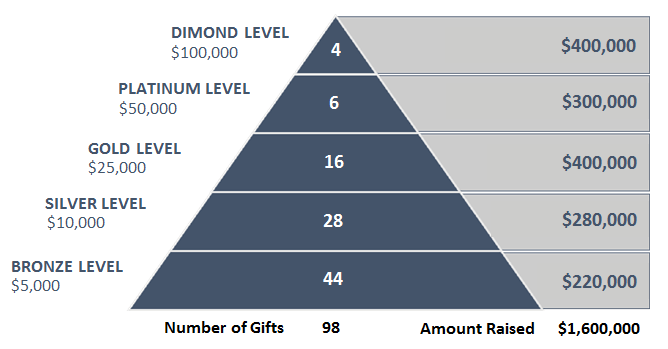 To achieve our goal of $1.6 Million during the Stakeholder Phase, we need to identify 294 people who have the means and the motivation to make a large gift to the campaign. In general, we are looking for people with strong wealth indicators, a habit of making political or charitable donations, a strong personal connection to our cause, and a recent history of giving to us. The following breakdown is one path to our goal. During the Public Phase, we will need to reach out broadly to a large number of people who are likely to make smaller donations to the campaign.